Oh, the Pickleback. What words can be said about the Pickleback? The Pickleback is a shot that has been slowly growing in popularity across college towns and respected bars a like over the past two years. It’s popularity has been helped along thanks to the sudden resurgence of whiskey in the drinking populace’s consciousness. It’s also one hell of a weird shot. Since then, the Pickleback has become something of a legend. The mixologist set, much like the chef set, always have a certain set of recipes they tend to go back to. They are basic, simple, and utterly delicious. Who was I to fly in the face of those great cocktail writers and mixers that came before? Pardon me, while it’s time to man up. Take the whiskey, follow immediately after by the brine. This is… Really. Really good. Actually. 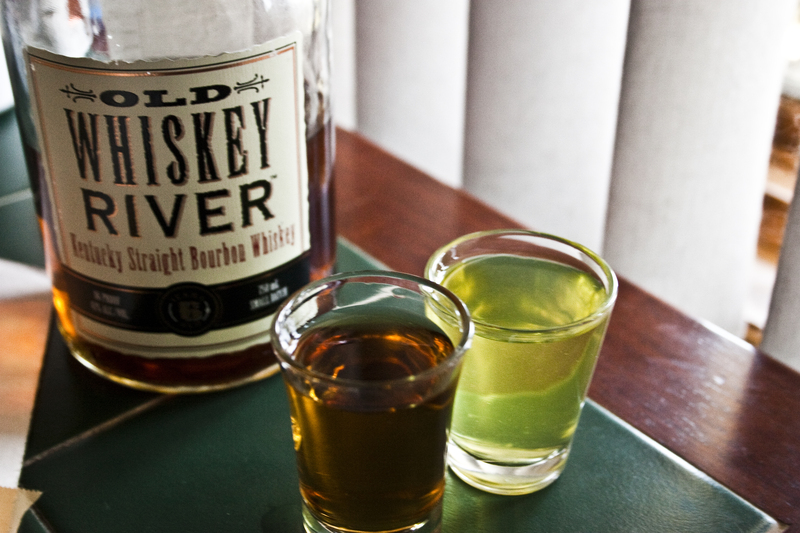 By taking the pickle brine shot right after the bourbon, it clears the palate of the woody flavor. However, with the OWR, there’s a distinct, almost coffee flavor that comes after the two flavors chase one another. Now, you are left with a lingering taste of pickle on your breath, but I suppose for some people vinegar and garlic is to be preferred over booze on the breathe.